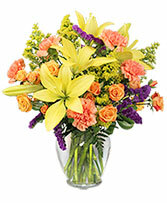 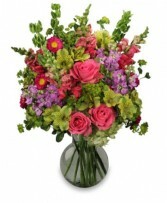 This bouquet will go far beyond making this Valentine's memorable!! 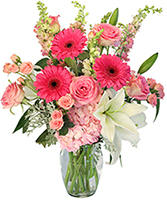 The professionals at Lanell's will add the perfect amount of "OO" and "Awe" to the classic Dozen Roses and get them delivered to your loved one. 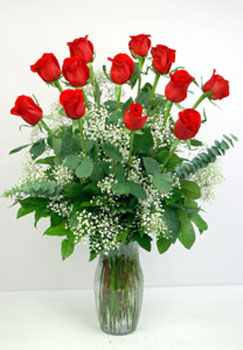 Arranged in a Red Bunch Vase will be 12 Long Stem Roses accented with a kick of sparkle and glitz by adding a premium bow accessorized with two sparkling hearts (including Baby's Breath and Assorted Greens).